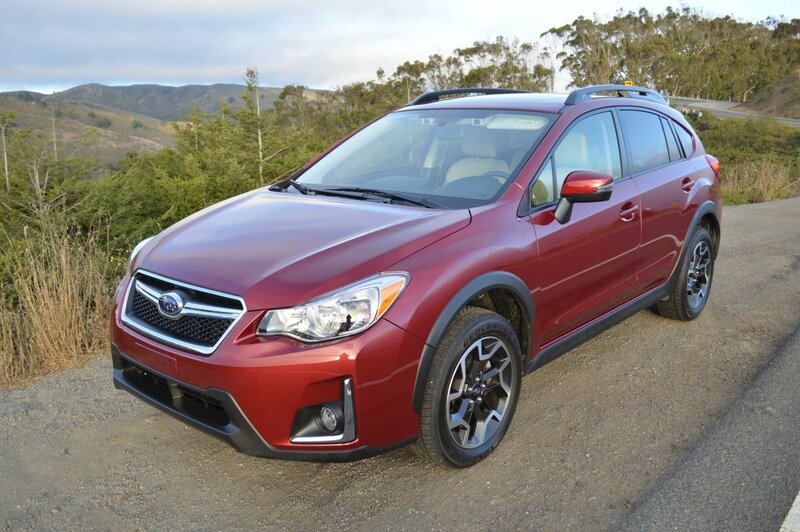 Here’s another 2016 model you can probably wangle a good deal on at your Subaru dealer. 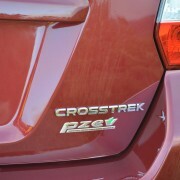 The current Crosstrek, which is a customized derivative of the Imprezza line, is about to be supplanted with an all new model for 2017. That invariably means that dealers will be more than willing to negotiate on the $25,095 base price of the outgoing 2016 model. 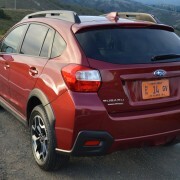 While the 2017 model, based on the new Subaru Global Platform, promises to be longer, wider and slightly more powerful (by just 4hp) than the Crosstrek we drove, there’s really little reason to justify spending more for it. 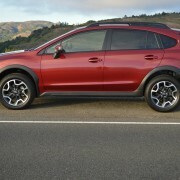 That’s because the 2016 Crosstrek did pretty much everything we asked of it. Even with Option Package 23 ($2,895) – a catch-all grouping that includes a 7″ multimedia Navigation unit, Keyless Access and EyeSight Driver Assist – the bottom line totaled just $28,840. 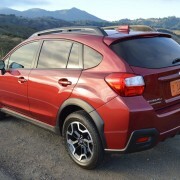 Even that’s a number you can probably beat in light of the new replacement Crosstrek that’s on the way. 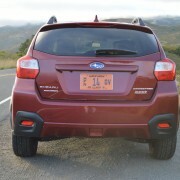 The Crosstrek provides a grouping of features that distinguishes its performance and appearance from run-of-the-mill Imprezzas. 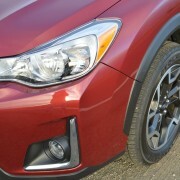 Subaru raises the ride height of the Crosstrek, to provide added ground clearance for off-road jaunts, or driving in snow. 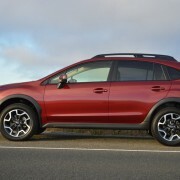 Because the Crosstrek, like all Imprezzas, features fully independent front and rear suspension, the extra elevation has virtually no ill effect on the dry pavement handling of this mini-SUV. 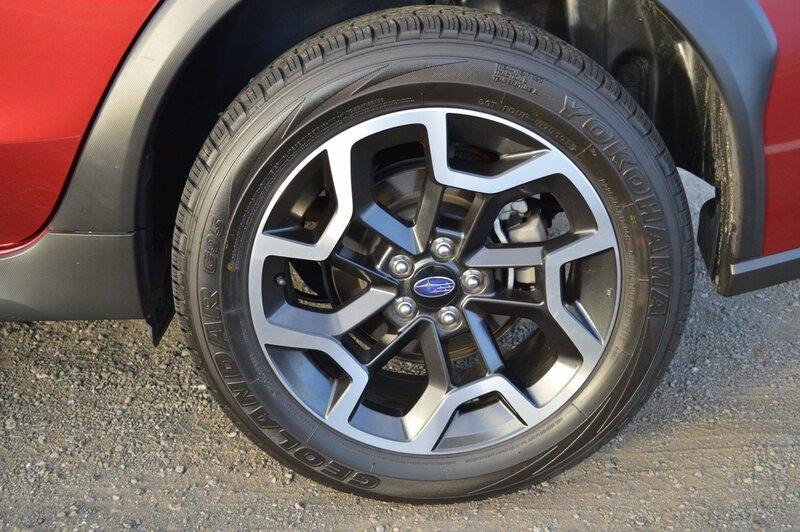 All-season Yokohama Geolander tires (225/55R17) are responsible for good adhesion at all four corners, and never issue a peep in protest when you lean on them hard. 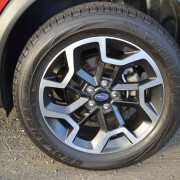 The telltale identifier for the Crosstrek range is its iconic 17 inch aluminum alloy wheel. Imagine a five point silver cookie cutter superimposed on a black circle and you get the visual. 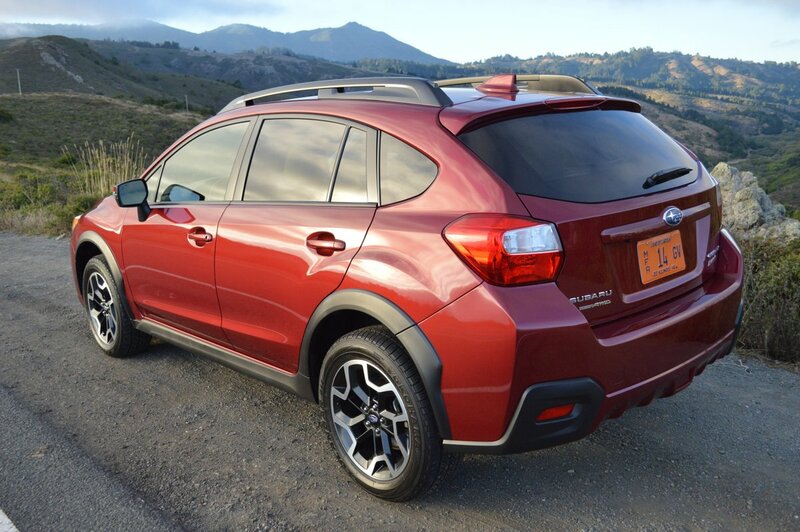 There’s no mistaking the solid stance of the Crosstrek. 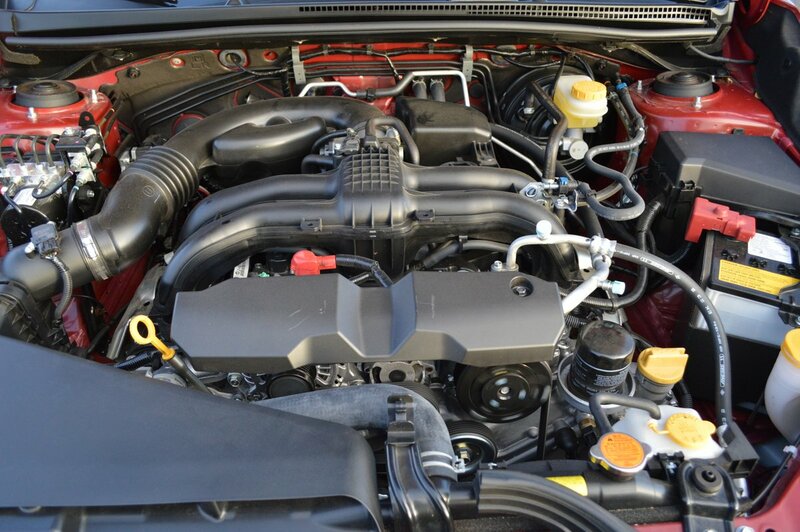 Under the hood, you’ll find a horizontally opposed four cylinder engine displacing 2 liters. 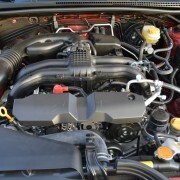 This rather unique configuration – soon to be shared by Porsche’s coming 718 – produces 148hp and 145lb.-ft. of torque in Subaru tune. 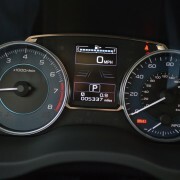 That’s barely enough to instill confidence for passing maneuvers or freeway merges because the CVT transmission takes an extra second or so to spool the engine up to meet the demands of your right foot. It’s not a particularly rewarding drivetrain combo, but it eventually gets the job while achieving an overall fuel rating of 29 MPG. 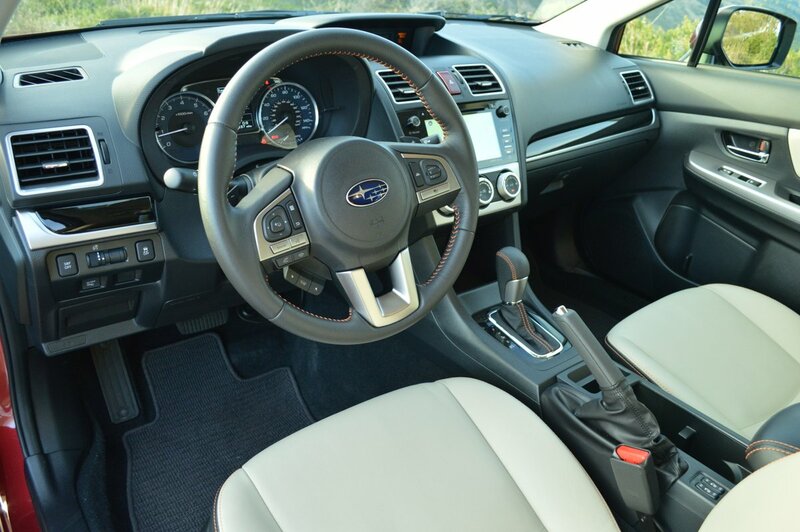 At least Subaru provides tiny shift paddles next to the steering wheel so you can provoke the engine to make more noise if not more speed. 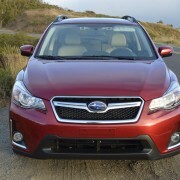 Inside the cabin, Subaru provides some surprising amenities given the car’s bargain price range. For example, the front seats are heated, the steering wheel manually tilts and telescopes, Sirius XM radio (with 4 free months) is built into the base entertainment system, and the seats and steering wheel are leather trimmed. On the negative side, the front seats are unyielding and lack lumbar adjustment. 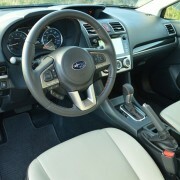 Even at maximum vertical position, the steering wheel remains canted at a bus-like angle. Finally, the backrest adjuster for the driver’s seat is manually controlled and difficult to position accurately. 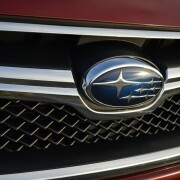 Subaru does, however, compensate for minor comfort deficiencies by providing a bevy of pluses you will be hard pressed to match in this price range. 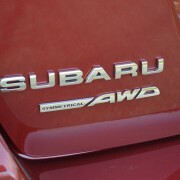 Topping the list is “Symmetrical” all-wheel-drive, which by itself makes this Imprezza worth its sticker price and then some. 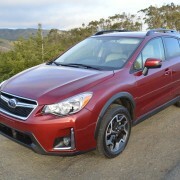 If you do any winter mountain driving, you’ll appreciate the traction afforded by the Crosstrek’s full time AWD. 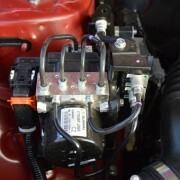 Another reward is EyeSight Driver Assist – included in Option Package 23. In addition to adaptive cruise control, lane departure warning and pre-collision braking, EyeSight affords pre-collision throttle management to lessen or avoid crash damage. 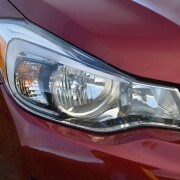 According to Motor Trend, the Eyesight systems enabled the Imprezza to “ace the IIHS (International Institute for Highway Safety) front crash prevention test and avoid a collision altogether in the low and high speed tests.” So it’s hard to find a safer ride cheaper than the EyeSight equipped Imprezza Crosstrek.